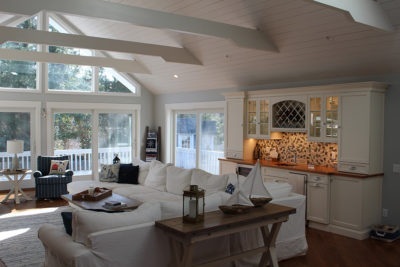 Good Builders specializes in custom building. Our homes range from 1,800 to 5,000 sq./ft. We have our own excavating equipment making demolition, site preparation and septic systems one of our strongest attributes. Remodeling has become a large part of our work load over the past several years. We specialize in all aspects of remodeling and renovation, from a job as small as exterior trim repair to complete gutting and re-designing of homes. We have done historic remodeling as well. When you are looking to expand your home, we provide the expertise to make sure your addition is not only up to code, we also ensure that it blends seamlessly with your home’s design. We partner with you to create the space you’ll love to call home. 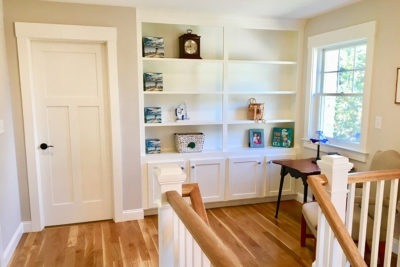 We are pleased to offer all aspects of single home construction and renovation on Cape Cod and the South Shore. Our services are not limited to single family construction. We also specialize in all aspects of home repair and renovation. With over 20 years local experience, we are aware that each project has its own unique challenges. We handle all aspects of residential construction and are eager to take on individualized, creative projects. We have long working relationships with quality architects, engineers and draftsmen who collaborate in the design-build process.